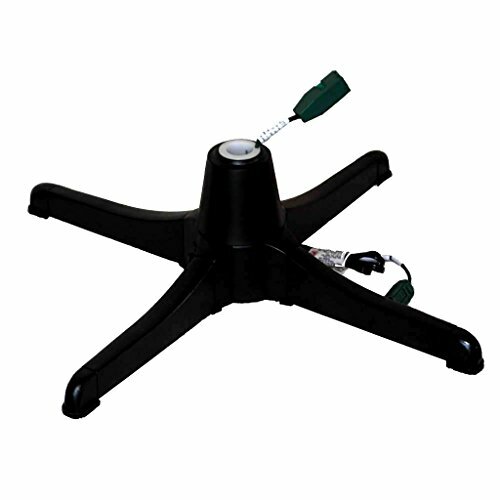 24" Powerful Electric Rotating Stand For 7.5' Tree with up to 1500 Lights not to exceed 80 lbs. For use with standard 3/4" or 1 1/4" pole. Full 360 degree revolution takes 70 seconds with no cord tangling 6.5' green power cord On/Off switch at base of t.